At least 20 people have been killed and 17 injured in explosions followed by heavy gunfire in Somalia’s capital, Mogadishu, according to police. 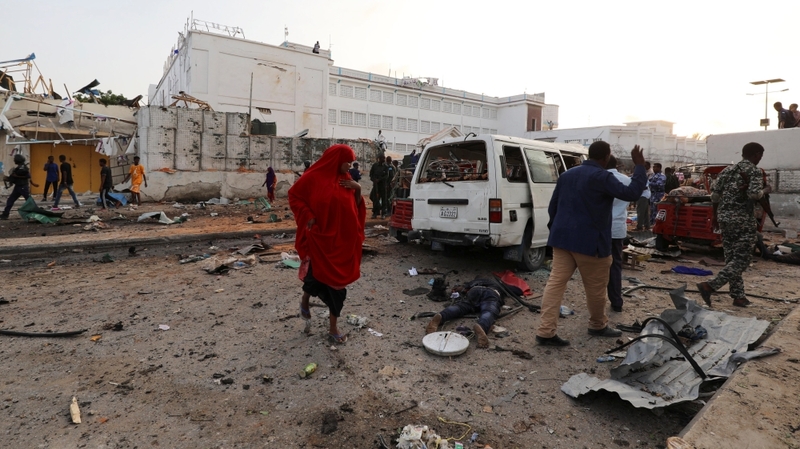 Initially, “two blasts struck the perimeter of the Sahafi Hotel along the main road,” Ibrahim Mohamed, police official, was quoted as saying by the AFP news agency. 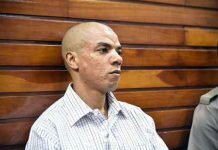 Although the attackers “failed to access the hotel, the blasts outside the hotel killed many people,” police captain Mohamed Hussein told the Associated Press news agency. “I’ve pulled many dead bodies from the cars,” Mohamed Aden, a witness of the attack, told Al Jazeera in Mogadishu. “The number of casualties is unknown as bodies are still being pulled from the burning cars”. 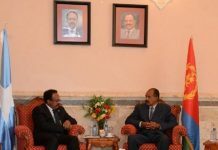 Some of the victims were burned beyond recognition when one car bomb exploded next to a minibus, Mohamed Hussein, a police captain, told The Associated Press news agency. “So, in total, 28 people died,” Ahmed said. 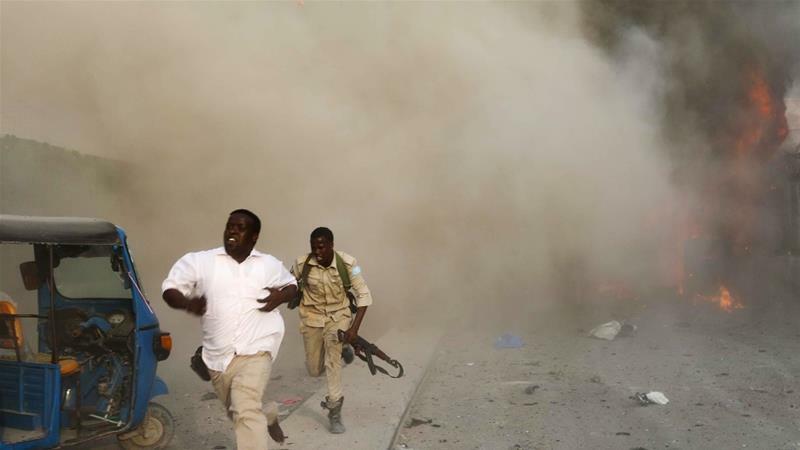 Al-Shabab claimed responsibility for the attack, according to the armed group’s Adalus radio station.